Highly automated driving allows the driver to temporarily delegate the driving task to the autonomous vehicle. The challenge is to define the information that needs to be displayed to the driver in this mode, to let him be able to take over properly. 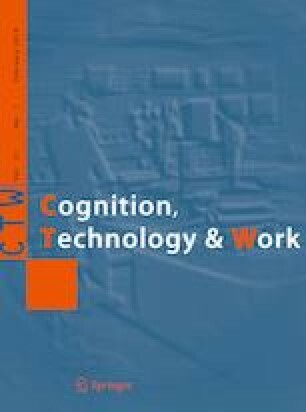 This study investigates the automation transparency to ensure a meta-cooperation between the driver and the automation and the way to convey information to the driver using Augmented Reality according to some transparency principles. Therefore, among 45 participants, we evaluated five human–machine interface (HMI) in which some or all of the following functions were integrated: information acquisition, information analysis, decision-making and action execution. To validate our transparency principles, we assessed Situation Awareness, discomfort feeling, and the participants’ preferences. Even though there is no convergence in the first results, it appears clearly that no transparency in the HMI does not help to understand the environment. Additionally, it appears that “information acquisition” and “action execution” functions are quite necessary. Furthermore, the HMI with the high level of transparency was preferred by the participants. However, more analysis is required to obtain final results. This work receives support from the French government in accordance with the PIA (French acronym for Program of Future Investments) within the IRT (French acronym for Technology Research Institute) SystemX.